This bag has enough candy for every trick-or-treater on the block, and showcasing the chocolates in the mouth of a werewolf is cute, clever, and a little different from what we’ve seen before. 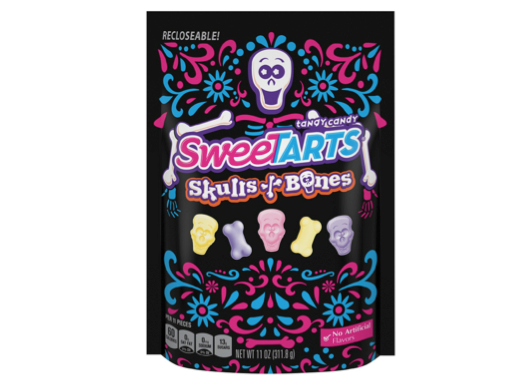 This psychedelic limited-edition packaging is a fun and lighthearted take on the season, playing off of colorful Day of the Dead imagery. Like the Nestle bag, this packaging uses a cavernous monster mouth as a main visual feature. Rather than using traditionally spooky Halloween elements, this Autumnal bag from Hershey evokes cozy “sweater weather” vibes. 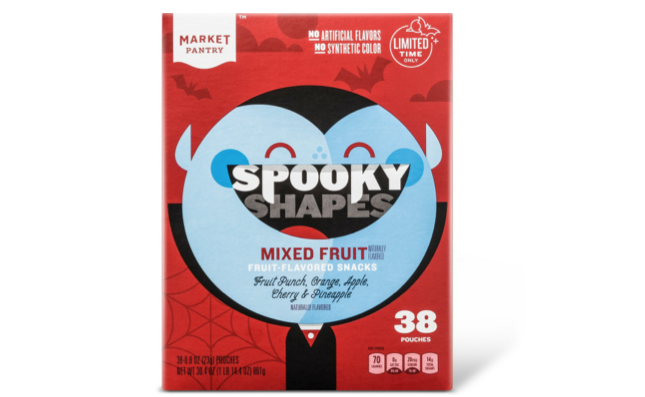 The creative team behind M&M’s has made the brand one of the most reliable fixtures in Halloween packaging for thinking outside of the box. 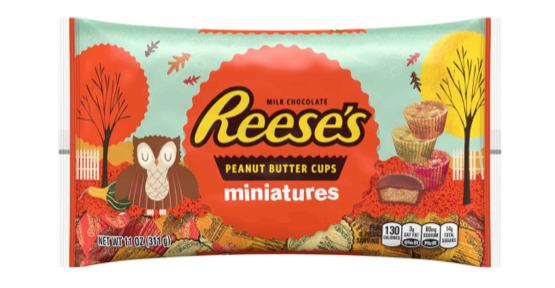 In a sea of ghosts and witches, M&M’s stands apart with this fall football theme. The packaging also features a watermark leaf pattern. Make sure to reach out to us through social media if you notice any seasonal packaging out in the world that you think we should cover. You can follow us on Twitter, LinkedIn, Instagram, and Facebook.